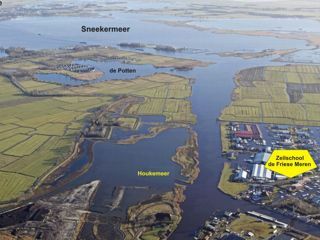 In the middle of Europe's most beautiful lakes, 1km from the highway Distant, you will find the -sailing school de Friese Meren-. 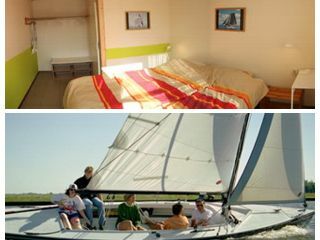 Here you can hire the best sailing boats, live in our group accommodation for 2-140 people Make your school trip or your tour group and you can also learn to sail very well. Rent 5 x eight-bedded room with shower and WC, recreation room, kitchen for a total of 40 persons from € 1350. 1 km from the A7.